The Chinese dog-leather industry is a real thing, and it's as horrific as you could imagine, with dogs beaten and killed in front of one another for their skins. 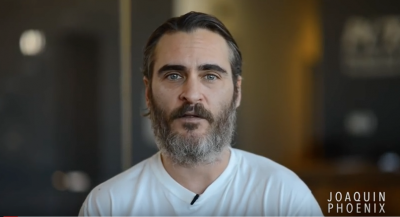 Actor Joaquin Phoenix wants you to know about it and to pledge not to buy or wear any leather ever again. Dog Meat Gang Arrested in Thailand. On January 13th a dog farm was raided in Sakon Nakhon, North East Thailand. Over 2000 dogs were seized and the owner was arrested. The government has spent over 10 million Baht on building the dog shelter in Buriram, vaccinations and food but the dog smuggler was fined only 37000B. "I hate this business!" "I hate being in this business!" Words from the beautiful soul in this video who has clearly been affected by the acts of undue animal abuse and cruelty, committed towards the innocent cats and dogs in his time as an HSUS undercover investigator. Chinese food is very fresh! Chineses are sick!! I dont know how the ppl can eat that... poor animals they suffer a lot :( "This is a competition (China), where the aim is to get the food from living and breathing, to cooked in the fastest time possible." 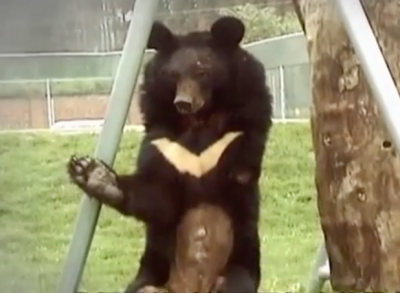 A woman in China has given up her business to look after abandoned animals. Insude the Moon Bear Center, China. A tour with Jill Robinson. They were banned during the cultural revolution, perceived as bourgeoisie. But now pet dogs are making a comeback in China where they are seen as child substitutes.